I created a Fresh facebook page and Uploaded some Images to it. 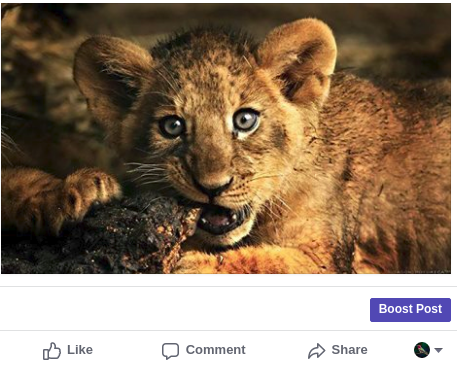 There was an Option called “Boost Post” below Every Image. Now here we have to set the amount and for how many days do have have to run our ad. So I filled up the form and clicked on Boost. And facebook asked me to add a Valid Card for the transaction. NOTE: I only had 4 to 5 US Dollars in my Card but I started an ad for 100000 PKR which is almost 1000 USD. 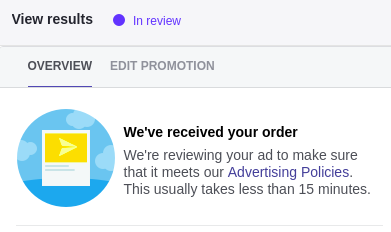 I was thinking that Facebook Might have a Manual check or review and I might be Blocked after this .But After a Couple Of Minutes I recieved a Notification Saying that You ad has been approved. But I was not sure that the ad will run completely or not. So I waited for a couple of hours and when I checked it again. I was as shocked as before. 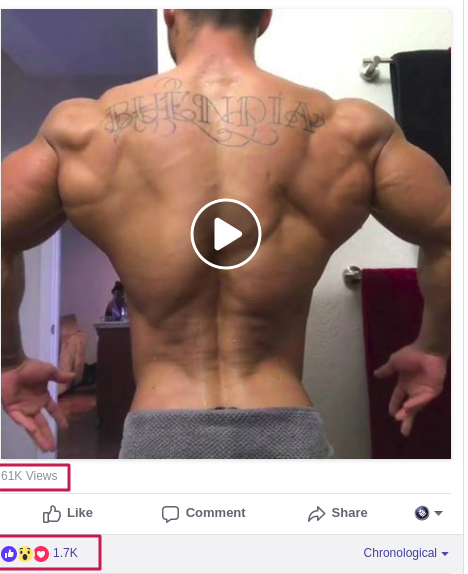 My Post Reached 34,792 people and got 7.1k Likes. But All of a sudden my ad stoppped. I was not sure why is it stopped and what next steps do I have to take. But after reading there blogs and other stuff I sorted out that its some kind of functionality by facebook. So How Does it Work. 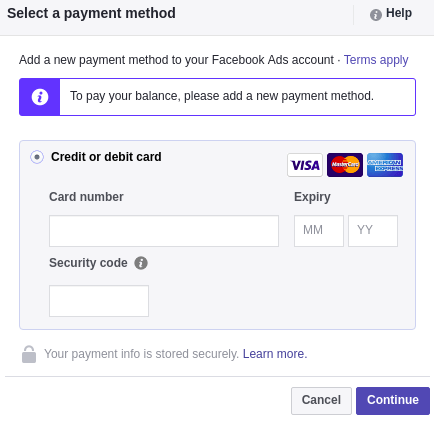 When we Boost a Post in Facebook then at that time it doesn’t charge the money from our card but instead it saves the money in our account that we need to pay later and it is named as “Threshold Amount”. But the threshold has got its limit. 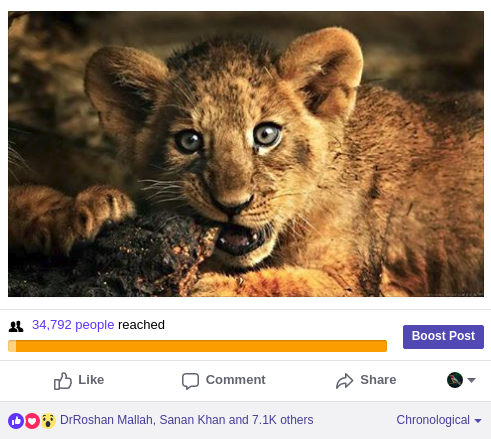 So when Our boosted post reaches the limit of 2500 pkr (20–25 Dollars), then the ad will be automatically stopped and it will be started again after paying that amount. So we can just Promote ads for 2500pkr. I tried lots of different methods to bypass this protection but all in vain. So I left it. But after a couple of days an Idea Came into my Mind. 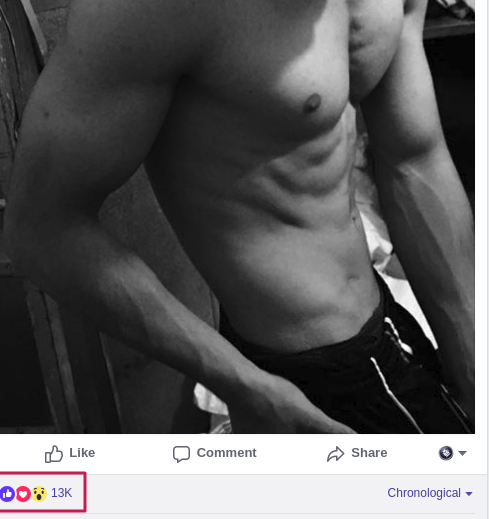 I thought what If we change the ownership of the page? So what ? I went ahead and changed the admin of that page and removed the previous admin. No Amount Due was shown this time So by doing the same process again I could have boosted up as many posts as I could. 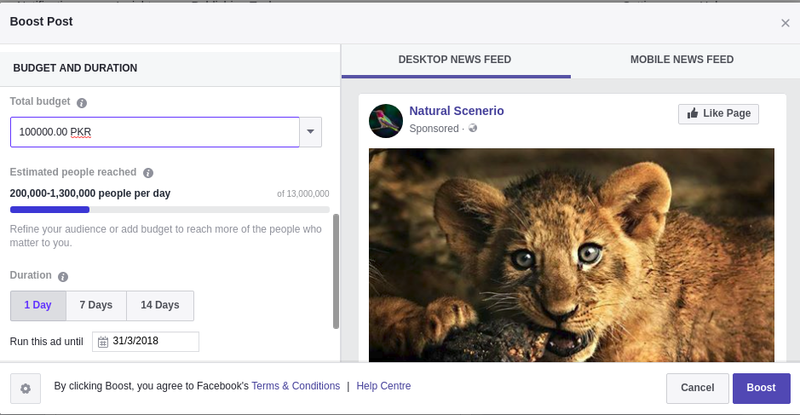 Create a Facebook Page and Boost a Post. Add a Valid card which has at least 2–3 dollars in it. The Ad will be started and it will run untill it reaches its threshold limit. 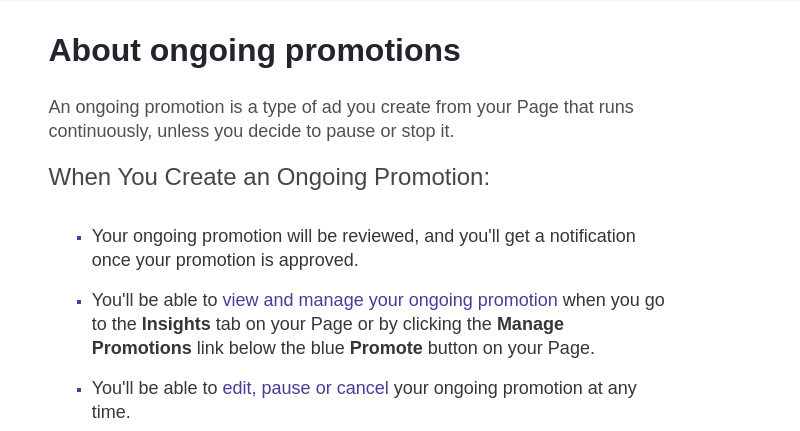 Once the ad reaches its threshold limit, change the admin of the page and remove the previous admin. I said Not a problem if you don’t wanna take it seriously. I said why not challenging my self to see If I get caught or not. So I made a Brand New page and uploaded a video and some images and boosted them using the same process again and again. 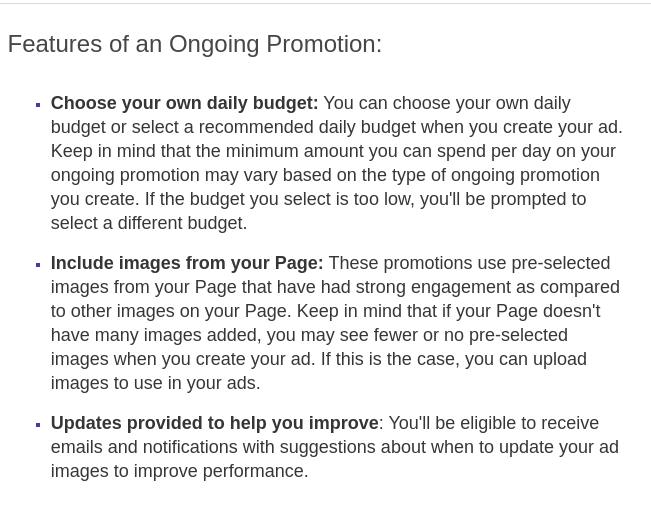 This was not just Limited to Posts but the Facebook Pages could’ve also been Promoted as well. 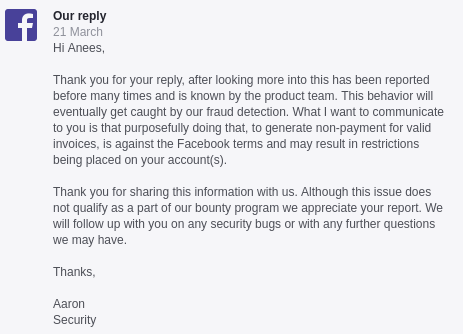 I wasn’t awarded anything as they were already aware of the issue. I Hope You Enjoyed this Write-Up.